A woman sits at her piano, practicing a five-finger exercise. For two hours a day, she practices the exercise over and over, her finger movements growing sharper, more precise and fluid. Another woman sits in a chair, hands still, and imagines playing the same five-finger exercise. For two hours a day, she practices in her mind and she can visualize herself getting faster, more melodic, more purposeful. After five days, the motor cortex corresponding to these finger movements has flourished in the brain of the woman playing the piano, proving that behaviors physically alter the brain. But what is more fascinating is that these neural changes also occurred in the woman who was simply imagining playing the piano. In other words, we can change the structure of our brains simply by thinking. The human brain has historically been a mysterious thing, a slippery and elusive being. For years it was thought that the brain completed its development early and then sat fixed, immutable, and vulnerable to damage from which it could not heal. Then an opera singer with MS regains his soaring voice. A blind man teaches himself to see. A man with Parkinson’s cures his symptoms by walking. And research begins to teach us that the brain is not static, but a flexible organ with the ability to form itself to behavior, reorganize itself to accommodate change, and compensate for damage. The brain is inventive, responsive, and, through careful modulation, full of promise. As you think new thoughts, practice new skills, and participate in new behaviors, neural pathways form. As these thoughts and behaviors are repeated, the pathways strengthen, habits emerge, and the brain is rewired to invite the use of these roads. Like a well-worn forest trail we walk every day, we know them by feel, the memory of their twists is imprinted on us, their turns sewn into our consciousness. Meanwhile, pathways we no longer use weaken, become impassable and hostile in comparison to their more popular, open alternatives. 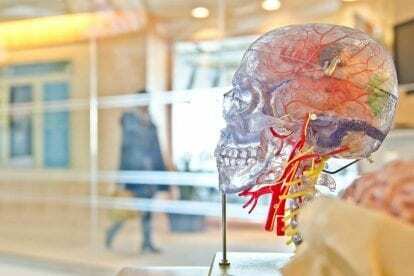 This plastic nature of the brain – or neuroplasticity – opens up a world of potential for people to optimize their minds through improved cognitive function, memory, language skills, and guard against age-related decline. It also gives us a new way of conceptualizing addiction, and the promise of treatment possibilities to guide users to recovery using the innate resources of their own brains. For years, debate has raged between schools of thought that frame addiction as a choice versus addiction as a disease. Through an understanding of the brain as an adaptable organ, we can reach a more sophisticated model, describing addiction as a reorientation of the brain that creates new neural pathways and perpetuates addictive behavior. Rather than arbitrary choice, the addict’s brain has remapped itself to make feeding addiction the most natural course of action. When a person indulges in addictive behavior, their brain floods with dopamine. Dopamine release is not only highly rewarding, it also increases the ability to learn, and tells the brain, “Remember how this happened so you can feel this way again.” As the behavior is performed again and again, the level of dopamine release decreases, and new extremes must be reached for the same effect. Eventually, tolerance may build to such a point that the addictive behavior no longer provides pleasure at all–merely avoidance of withdrawal. But even in the face of diminished rewards, the neural pathways beg for the repetition of the behavior; the brain is now built for addiction. While neuroplasticity may be a culprit in the creation of addiction, it also holds the key to recovery. By harnessing the moldability of the brain and abandoning the neural connections fed by addictive behaviors, new pathways can be formed via the development of healthy behaviors and thought processes. Through carefully created treatment plans, people suffering from addiction can be released from its grip to move toward stability, insight, and self-awareness. Meditation in particular is proven to engage the brain and expand its potential. Applying the principles of meditation to treatment addiction, Mindfulness-Based Relapse Prevention (MBRP) modulates brain activity to create new neural responses to distress and cravings. Through mindful meditation, people with addiction can learn to tolerate discomfort and stressful situations with decreased reactivity, allowing them to be in control of their actions and behave in thoughtful, deliberate ways. Even more significantly, MBRP allows addicts to experience distress without increased cravings, interrupting self-destructive impulses and replacing them with healthy coping mechanisms. 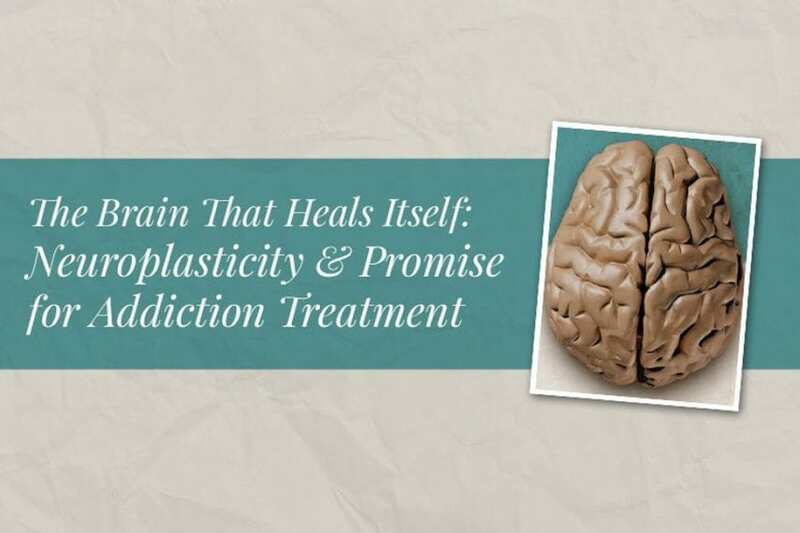 By embracing the potential of neuroplasticity and integrating neural modulation into therapeutic practice, addiction treatment programs can harness the healing powers of the brain and relieve suffering. This nuanced understanding of the brain offers hope for the millions of people suffering from addiction as we forge new paths to lasting sobriety. We invite you to take a closer look at the infographic below for more details about how neuroplasticity functions, and how it can be used to improve outcomes for all types of addictions.